Hello all, long time no post! As we’re getting closer and closer to releasing our files, I’m noticing that we have a huge (and I mean huge) trove of Python code that is largely undocumented. Some of it is pretty specific to this project, And other bits are useful in general. Even the specific stuff could be adapted, so it’s worth going over. As always, the video is licensed CC-BY, while the addon itself is GPL. Very intuitive and helpful, Bassam! I can’t practically use it for my current needs now but I’m sure it will be in the near future. Thanks Reyn! It’s improving steadily (currently I’m bugfixing until it is ‘stable’ and working with no new features) and I’ll probably then go back to adding some small features and extensions/options to make it more useful. It’s mainly useful for animators and riggers, probably not so much for still images/environments. Thanks very much for sharing. 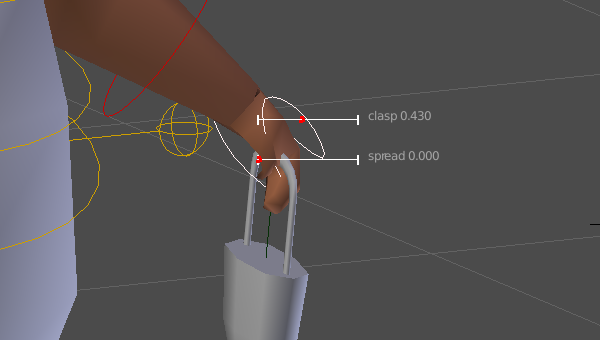 Rigging and animation of characters is something I have not done yet, but this little add-on makes me want to set up some creatures of my own and use it. Amazing to see how you are capable of pushing Blender’s boundaries ! Thx so much for sharing ! but I can t download a .py file from gitorious..
any info would be nice to know ? Nice features,Bassam. I have just one big problem.I installed the floating_sliders.py, in the rar file there was also another file (pax_global_header) I don’t know where to put this one.May you explain me better what to do with it? Another iussue. I don’t see the sliders in the toolshelf as you have them in the video, how do I set up that? Addon looks interesting, just Can’ t download in from Gitorius, it says “Gitorious.org is migrating all the repositories to Internet Archive. The repositories will soon be available for read-only access, with original clone URLs preserved. ” Could you share it somewhere else? Thank you. arg yeah, so gitorious shut down. I’ll have to dig it up! At this point I think that that code is a dead end, I’m more interested in the wiggly widgets branch of blender, which will allow custom widget api. At that point, expect an explosion of stuff like this. The reason I’m not a fan of the old code is updates: as it is not a blender widget, it has to manually update-tag and scene update for live updating. This can be either slow, or incremental depending on the scene.